The Modernist Journals Project has just published the complete 47-issue run of The Freewoman, Dora Marsden’s “Weekly Feminist Review.” The magazine appeared between November 1911 and October 1912, when it came to an end due to lack of funding. It was later revived as The New Freewoman, which in turn became The Egoist. Both of those magazines will appear in coming months on the MJP. 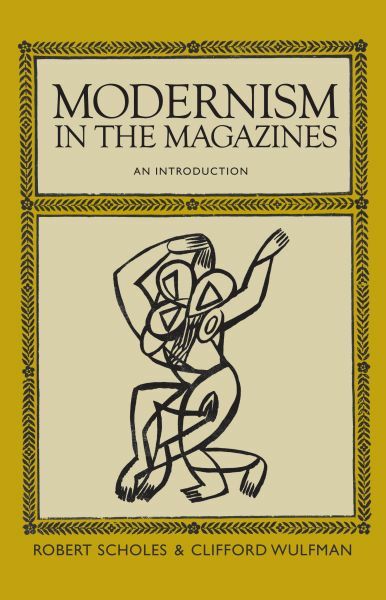 Congratulations to Bob Scholes and Cliff Wulfman, whose Modernism in the Magazines has been chosen as the best book of the year in American periodical studies. The panel of judges for the EBSCOHost-RSAP Book Prize called it “a landmark book” that “consistently and relentlessly calls on scholars to not simply read periodicals but actively consider and study how those periodicals might be analyzed, archived, and shared.” The award will be presented at this years ALA meeting in Boston on May 27 at 12:40 pm.